BNP Paribas Corporate & Institutional Banking (CIB) is a leading European investment bank with global leadership in many of our businesses. We are part of the BNP Paribas Group, a financial institution with solid foundations and a proven ability to adapt to change. BNP Paribas CIB can offer you an exciting and truly global start to your career where you, your ideas and your development matter. Close to 188,000 employees of 150 different nationalities work for the BNP Paribas Group and this community of people necessarily reflect and respect the societies in which they are embedded. The Group sees it as absolutely essential to pursue a policy – driven and supported at the very highest level of the organisation – of promoting diversity and helping to combat unfair discrimination. This policy, which is deployed in a large number of countries, is adapted and tailored to the specific legal and cultural aspects of each country. Our Management Principles make specific reference to Diversity. We have signed up to a number of international declarations, including the United Nations Women’s Empowerment Principles. We have identified the risk of unfair discrimination as one of 30 major operational risks for BNP Paribas. An approach based on Diversity helps to meet the essential need for well-being among our workforce. By encouraging everyone to embrace differences, this approach helps to engender group solidarity and promotes cohesiveness among staff. Accordingly, at BNP Paribas we make every effort to ensure that differences are never regarded as an obstacle but as one of the drivers for both individual fulfilment and collective creativity. If you are analytical, numerate and entrepreneurial, can quickly understand complex financial concepts, if you speak good business English and are ready to learn, we want to hear from you. 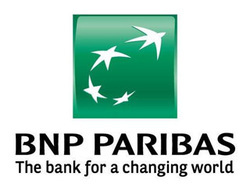 For information visit www.graduates.bnpparibas.com.